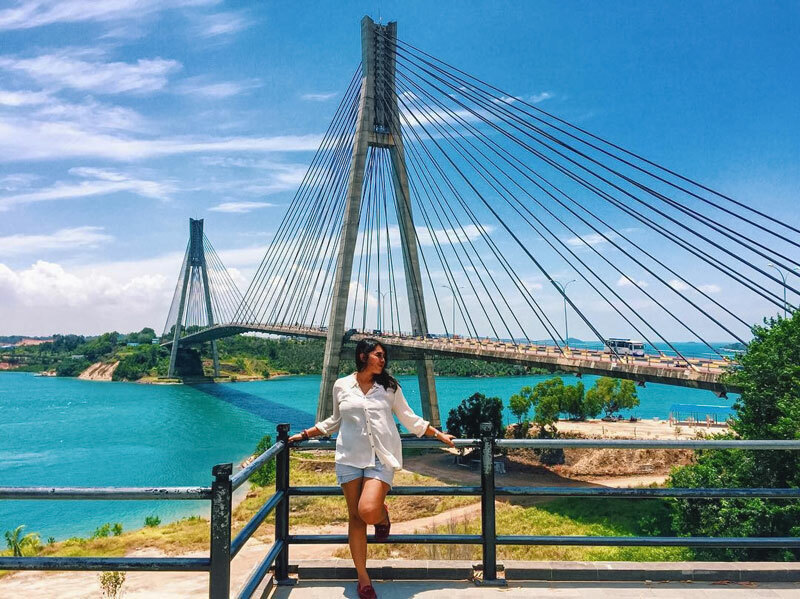 Most of us have probably travelled to Batam before, as a short weekend getaway an hour’s ferry ride from Singapore. 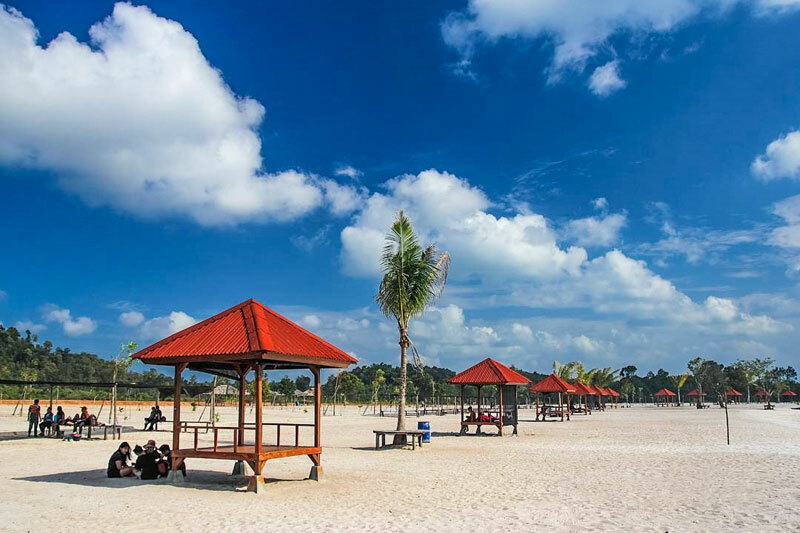 Yes we hear you – chilling at your beach resort, shopping at Nagoya Hill Shopping Mall, indulging in a seafood lunch, going for massages and having a go at those fun water activities by the beach such as kayaking and riding on the banana boat. But if you think that’s all to Batam, you can’t be more wrong. Have you heard of a lotus lake, a monastery nestled on a hilltop, a cultural carnival or a hidden waterfall? 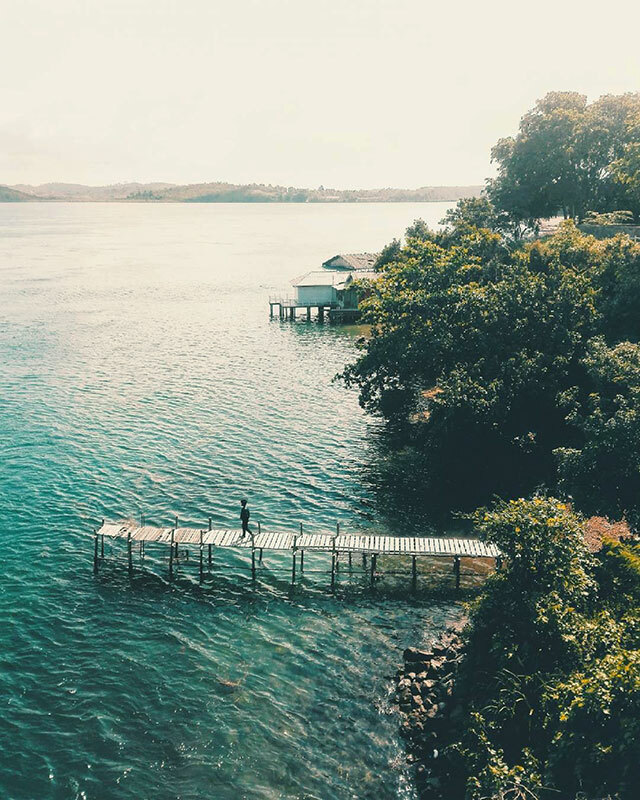 If you haven’t, we’re going to bring you around to all these hidden places in Batam you never knew existed! 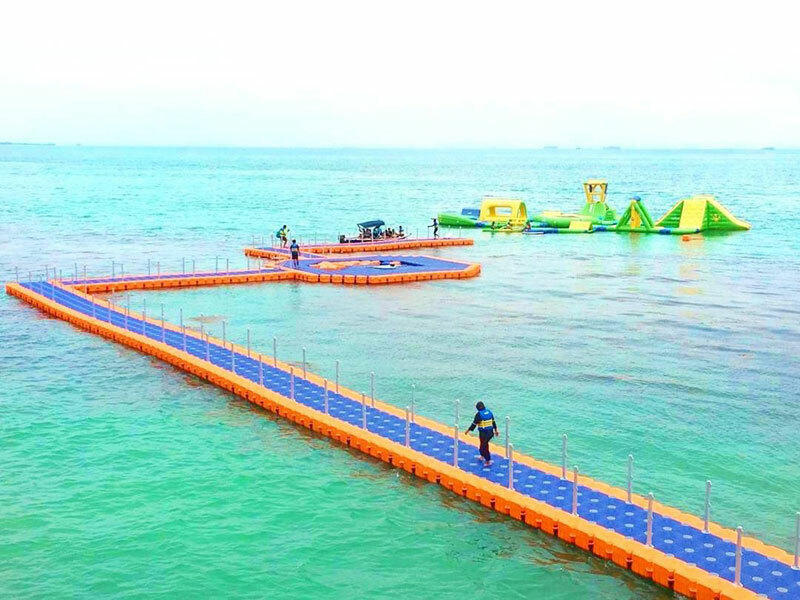 Do you want to play in a waterpark that’s floating right on the sea like this one? This is part of Sea Forest Adventure, a special themed recreational spot where you can unleash your inner child. 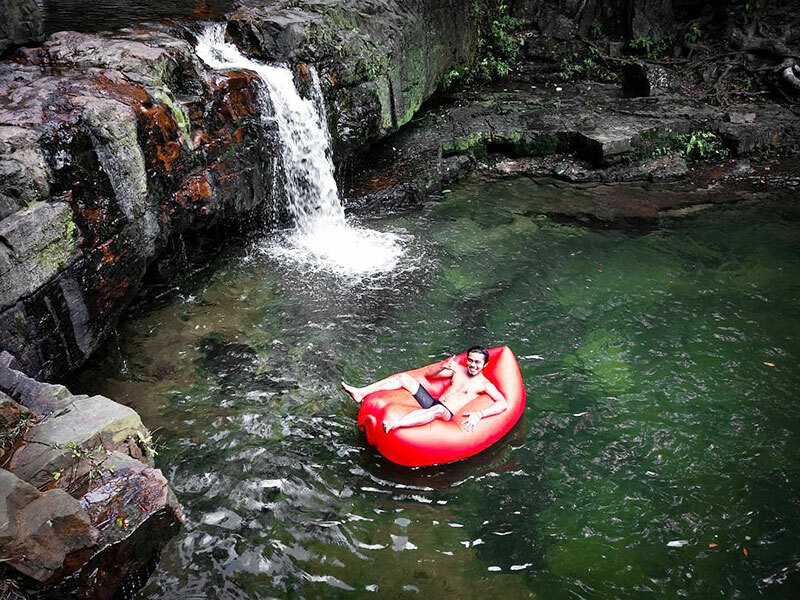 Here, you can experience nature, adventure and survival science, with 4 major sections for you to explore – the gathering facility, Glamp Camp, Rain Forest and Water World. 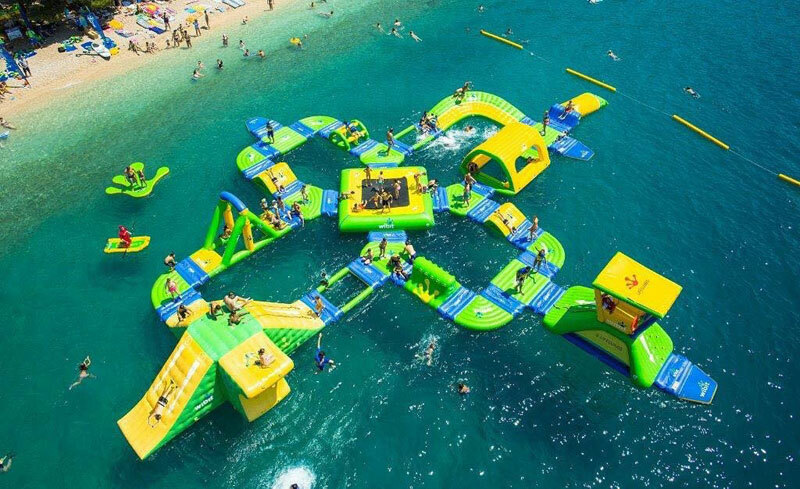 And this floating waterpark is Water World, located just around 100 metres away from the Palm Spring beach. 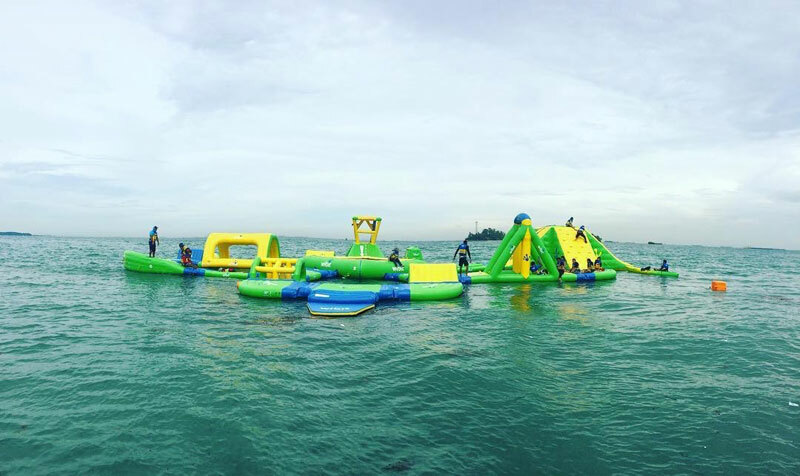 You can bounce, climb, slide and roam around this lovely playground for adults and kids alike! Don’t worry about safety – you will be given a life vest and the staff will brief you on what to expect, before you start your playtime. 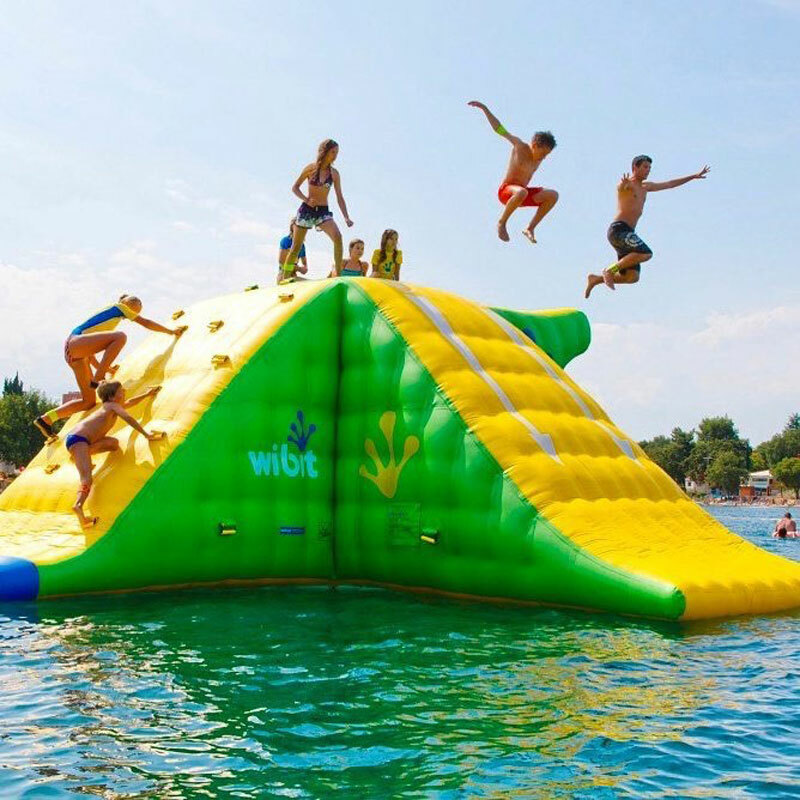 There will be more fun and facilities coming to Water World such as a floating bar, cliff bar, hidden beach and other exciting watersports. It’s time to taste this new floating waterpark before everyone else! Getting there: After you reach Sea Forest Adventure, there are 3 ways to get to the waterpark. 1) By boat – 5 minutes, 2) By buggy – 10 minutes, 3) By foot – walk along the hill on the right side of the beach – 15 minutes. Coordinates here. Entrance fee: USD 2.60 per person (around Rp. 35,000) and tickets to Water World costs USD 5.60 per person for 30 minutes (around Rp. 75,000). Does the name sound familiar? 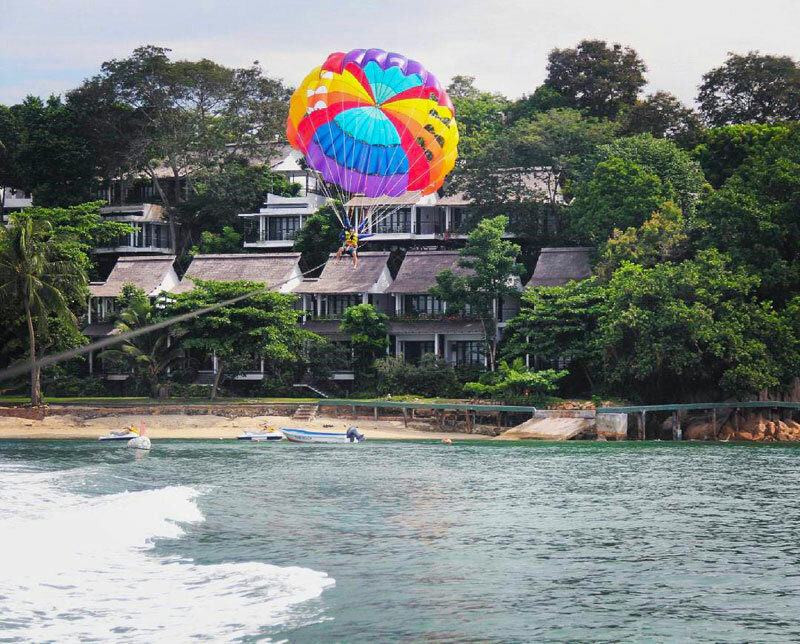 Yup, this recreational wonder pays homage to the residence of Mr. BJ Habibie (the third president of Indonesia). 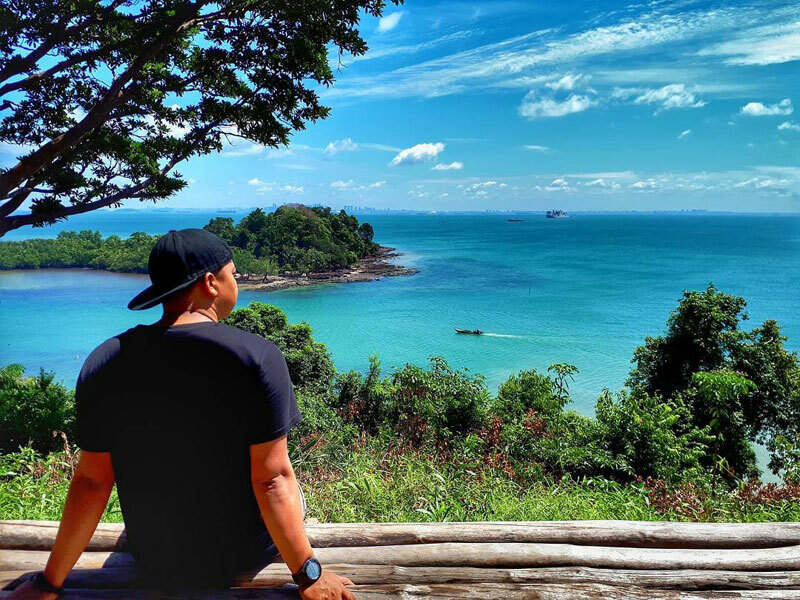 Many of you have probably heard that he is an aviation and engineering genius, but did you know that he is also one of the first few Batam leaders who has made a defining difference to the flourishing metropolitan? 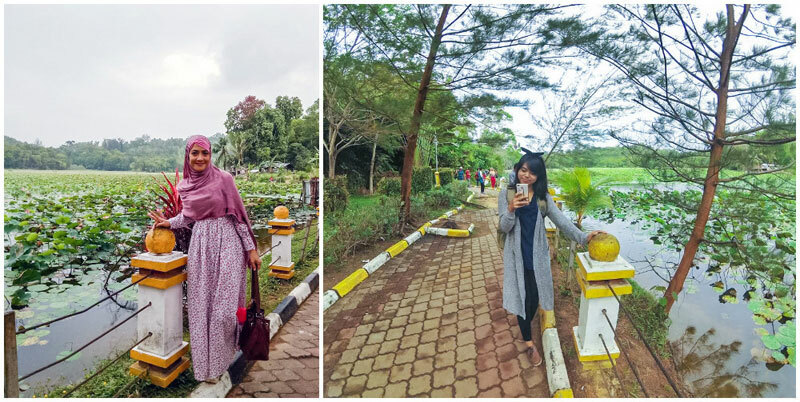 Taman Wisata Habibi 1000 Tangga literally means ‘a thousand steps’, which is the estimated total number of all the existing stairs here. The steps lead to different gorgeous spots in this spacious location dominated by lush greenery, including a cliffside beach and viewpoint overlooking the skyscrapers of Singapore. 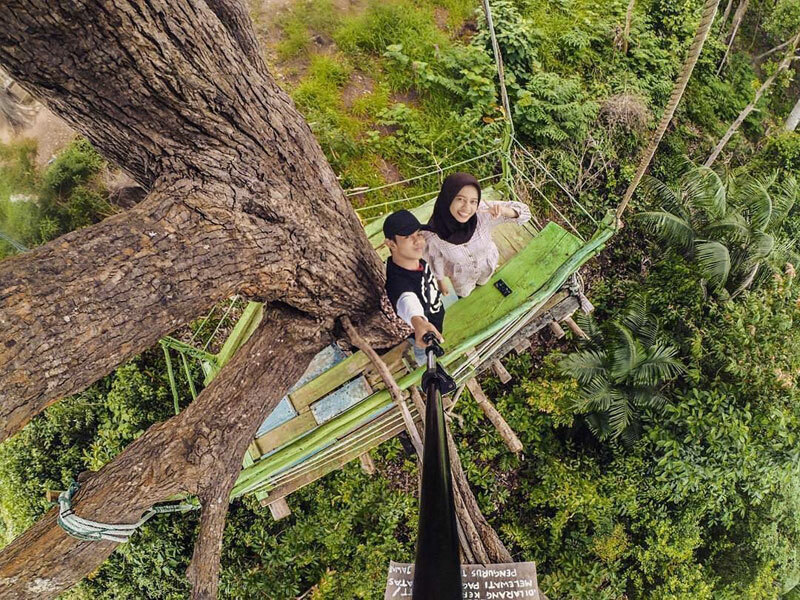 Don’t miss this particular spot – the rustic and super Instagrammable treehouse! 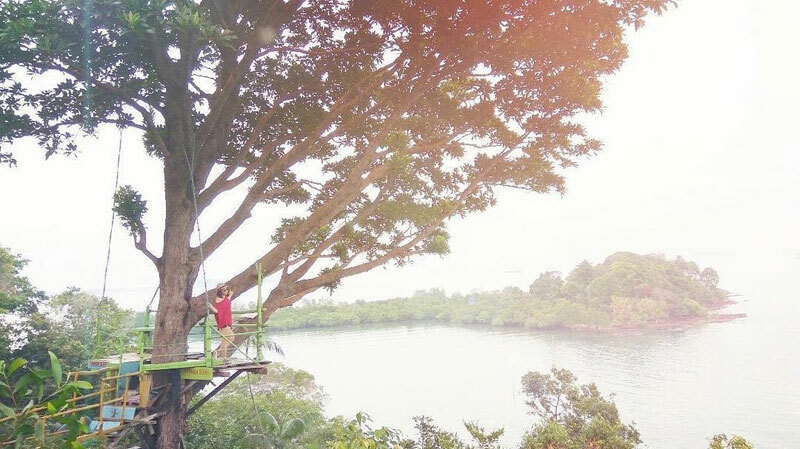 Climb up and get ready to pose with the panoramic view of the sea behind you and the surrounding verdant greenery for that picture of the day. Getting here: After the main Sekupang intersection, you’ll see the traffic lights by the tri junctions at Sekupang Government Complex. Take a right turn if you come from Batu Aji. Coordinates here. 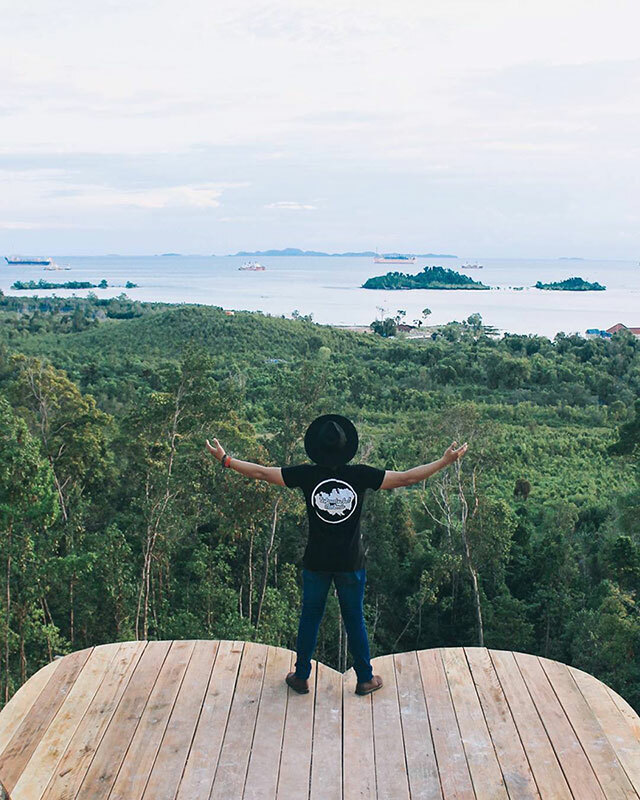 Batam is not just about its main island, but consists of its surrounding islands as well! 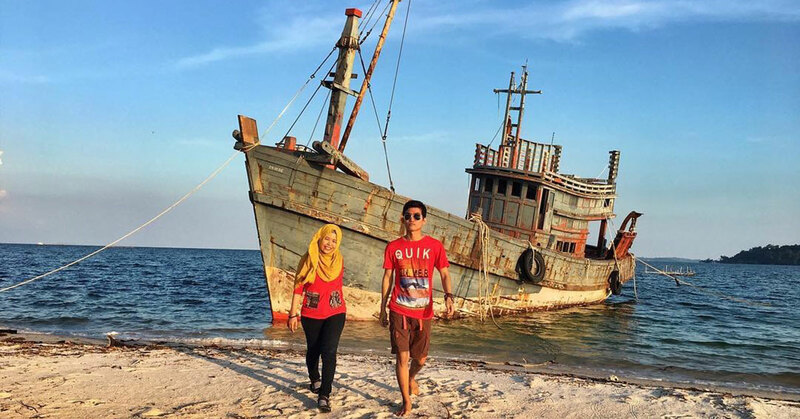 At Pulau Tunjuk, a treasure awaits – an abandoned shipwreck, as though directly out of a pirate movie! 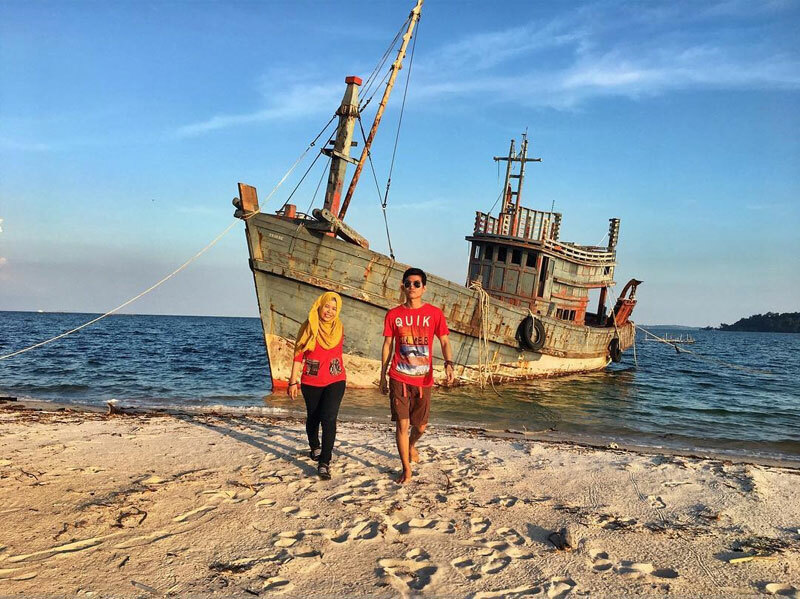 If you are adventurous enough, you might even want to hop onto the wreck together with your friends, and explore the nooks and crannies and pose for pictures. 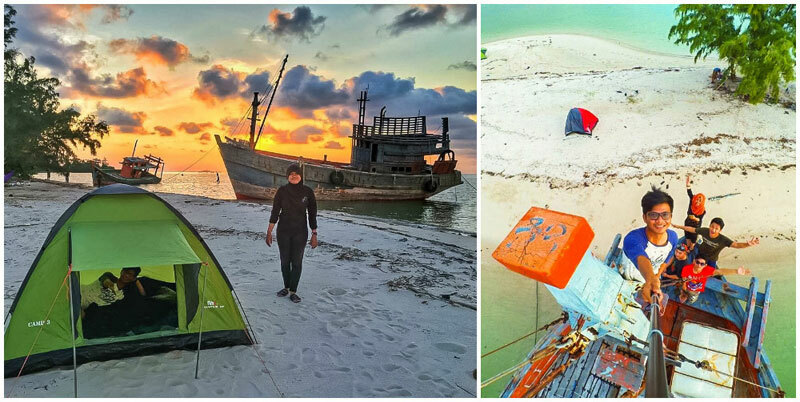 After exploring the shipwreck, you can take a dip in the clear water, have fun on the sandy beaches or even pitch a tent there for the night. 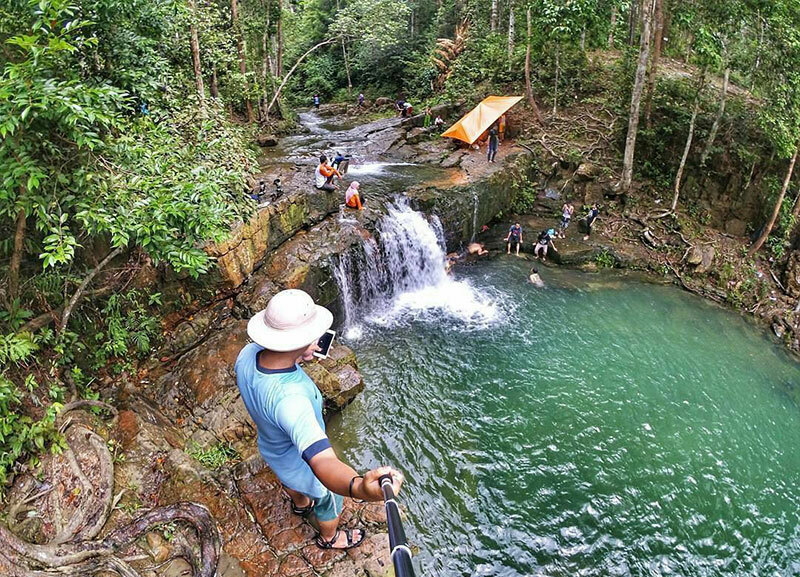 Muka Kuning might be just an industrial park, but the forested areas, where the Pancur Waterfall is located, is a gem for nature lovers. 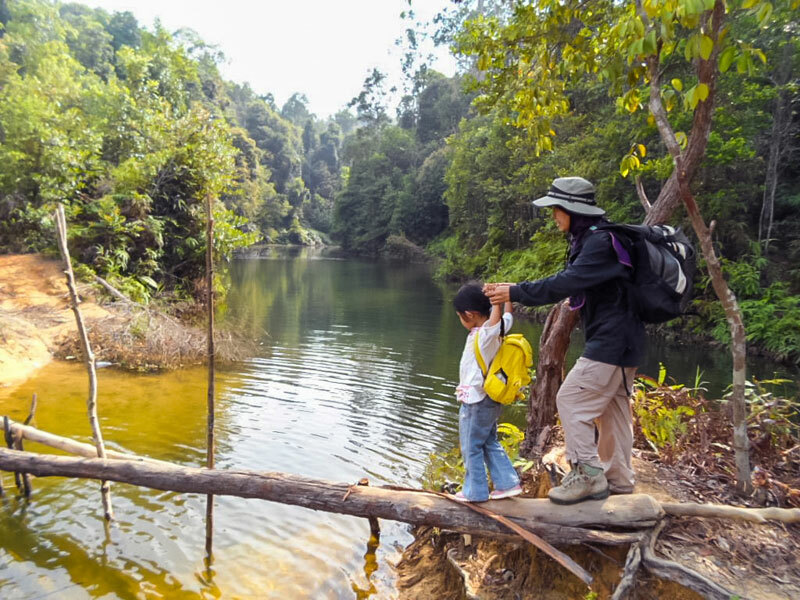 As you hike through the trails of the forests on your way to the waterfall, you will get the chance to wade in shallow streams of the river, cross bridges formed via fallen tree trunks and admire the large swamp areas within the forest. 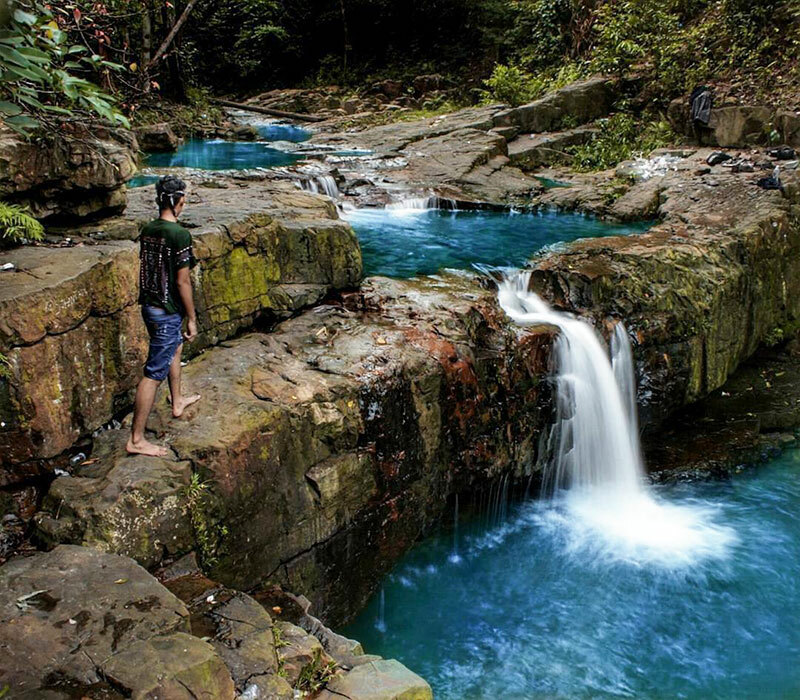 For the best experience, visit during the rainy season, when there’s more water flowing through the river. Getting there: (directions, if address is not available) Park at Dormitori Batamindo Block R in the Industrial Park, and head towards village gate Selayang. Head towards the market, and a path continues along the parapet. Cross the bridge, walk along the road in the village, and turn left at the small T-junction towards the bush. Follow the path until you reach a wall at the edge of the forest. Turn left, hike up the hill, and you will see a river. Follow the river upstream. 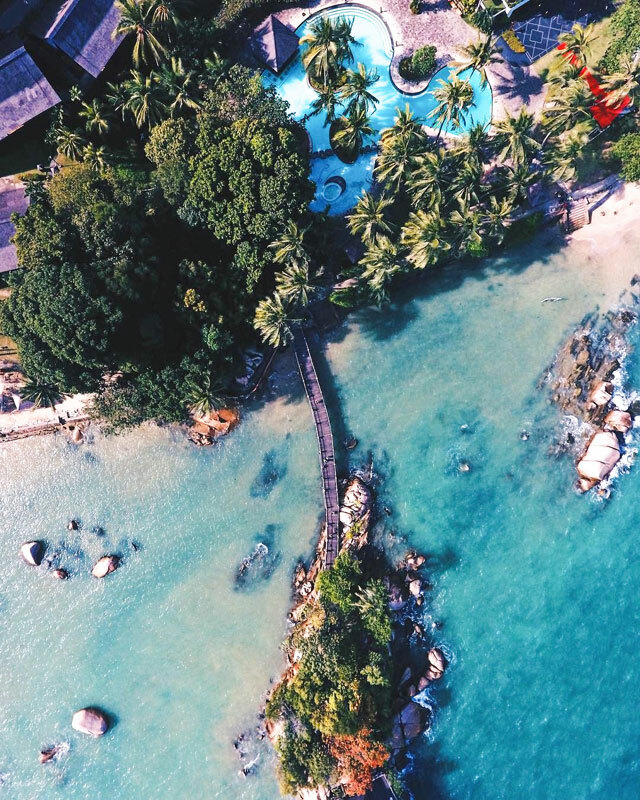 Ever dreamt of a magical beach where you could see starfish lying on the rocks, spot tiny crabs crawling on the sand, and peer at corals reefs through the crystal clear waters? You can actually do so in Viovio Beach. 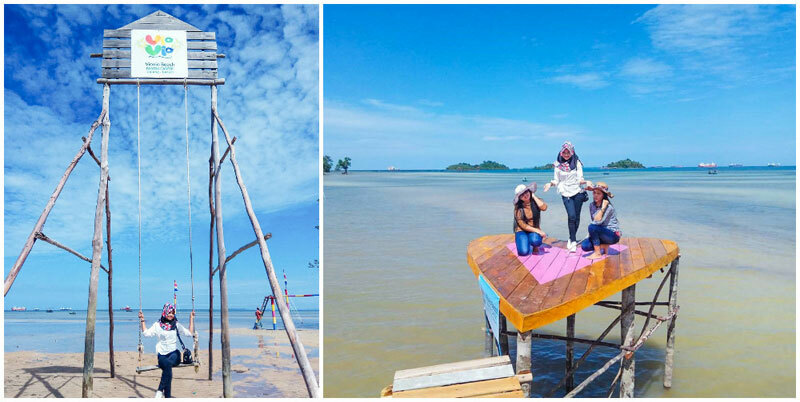 If you are up for the challenge, try to climb the wooden structure in the sea up to the top platform, and jump directly into the sea. 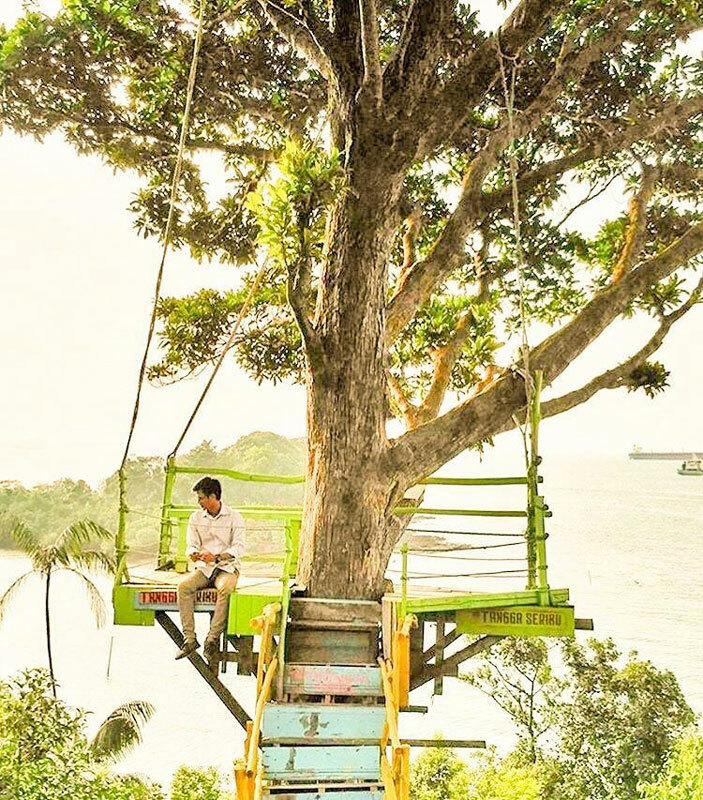 That’s not all – relive your days as a kid by swinging away by the sea. Looking for more fun than that? Hop on a banana boat or a kayak. Or if you’re feeling lazy, why not pick up a book and listen to the song of the waves crashing against the shore, or just chill in a gazebo with your loved ones? Most importantly, stay until dusk. The image of the orange sun descending into the horizon beneath the sea is simply mesmerising! What would you say to being tossed by water into mid-air and hanging precariously above the sea? Or being dragged across the water in full speed creating huge splashes of waves? 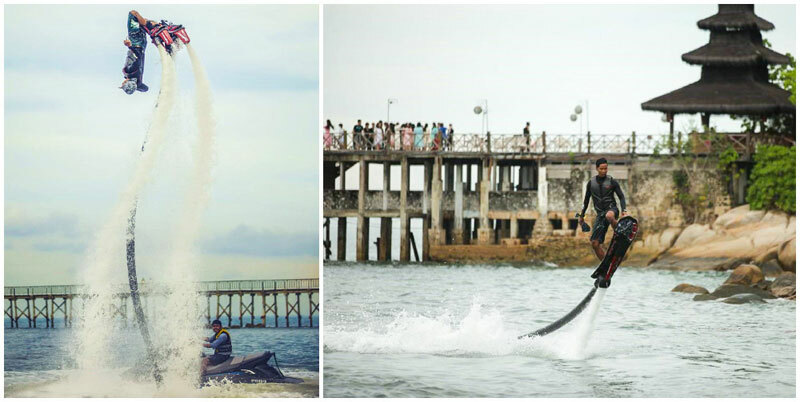 You can enjoy a host of adventurous water sports at Turi Beach Resort, including flyboard and hoverboard, jet-skiing and wakeboarding. Want something higher up in the air to pump up your adrenaline? Glide through the skies like you’re on a parachute driven by a machine on water. You’ll have so much fun, you’ll forget to breathe! 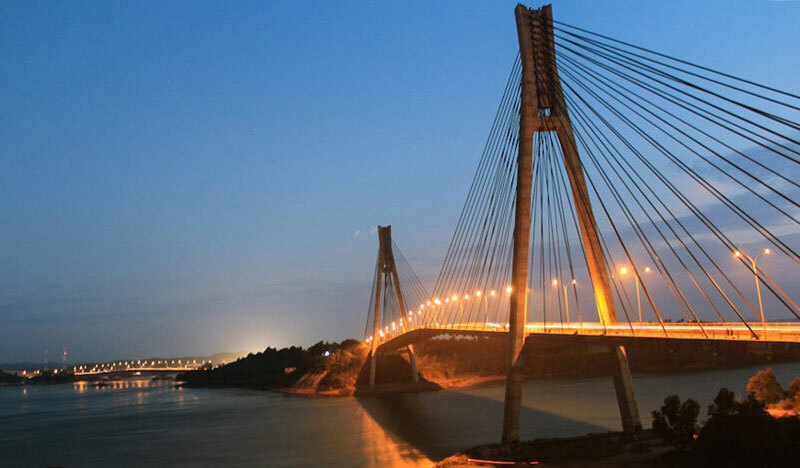 Barelang Bridge in Batam is like the Statue of Liberty in New York. 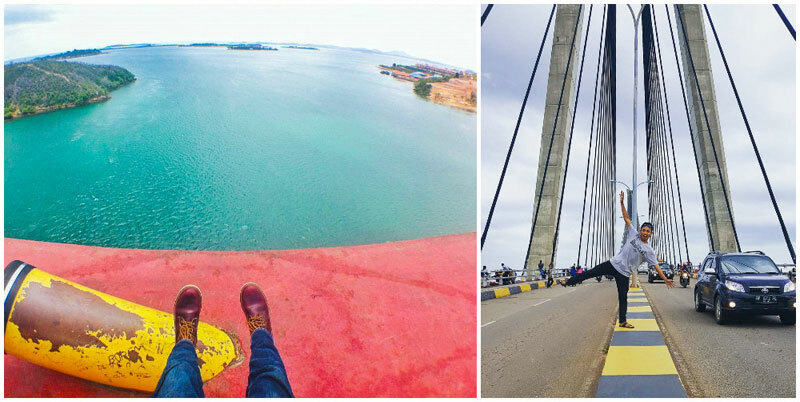 The symmetrical architectural design of the bridge makes it a perfect spot for some creative photos or selfies! 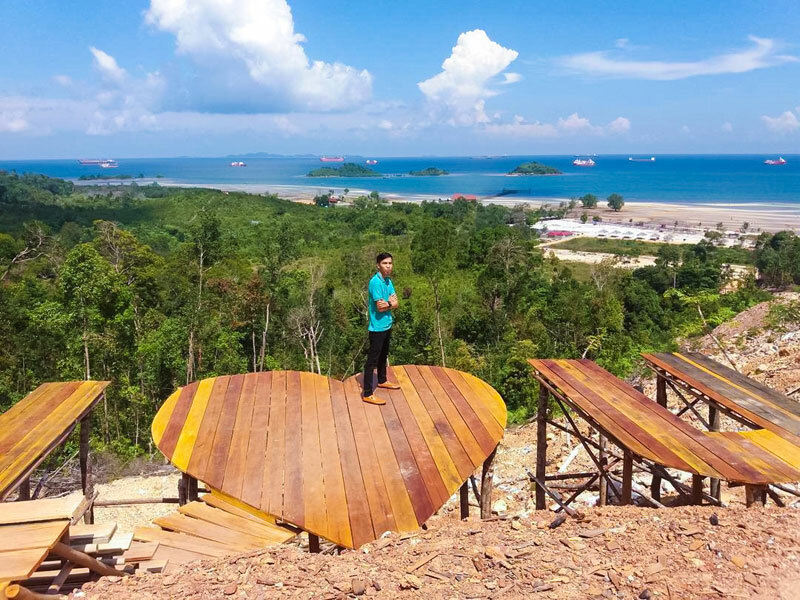 Overlooking a vast stretch of sea and greenery on the nearby islands, the spectacular scenery with the sea breeze on your face creates the perfect spot to have a romantic picnic with your other half. Hungry? Get some grilled corn and coconut water from the snack stores around the area. And when the sun sets, the lights on the bridge light up, transforming the bridge into another kind of beauty. 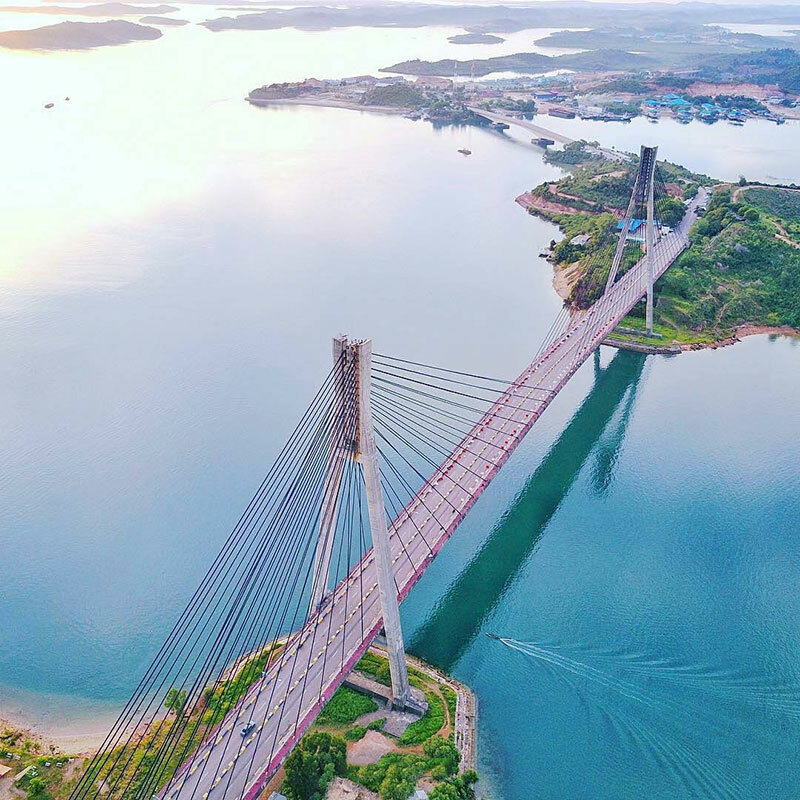 The Barelang Bridge consists of 6 different bridges connecting Batam, Rempang and Galang, with a total length of 2 kilometres! 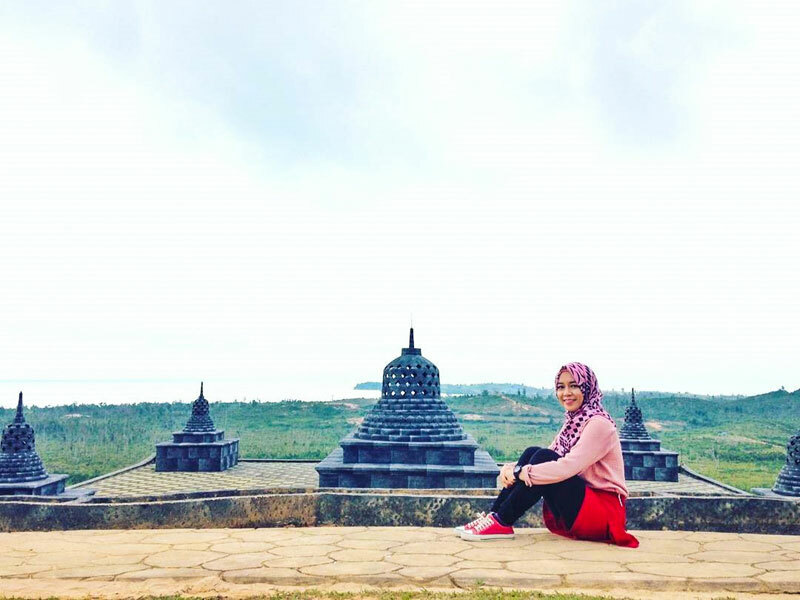 Taman Kolam Ikan, Sekupang is not an ordinary park. When you enter, you’ll see a massive lake of 6070 square metres entirely covered by lotus pads. 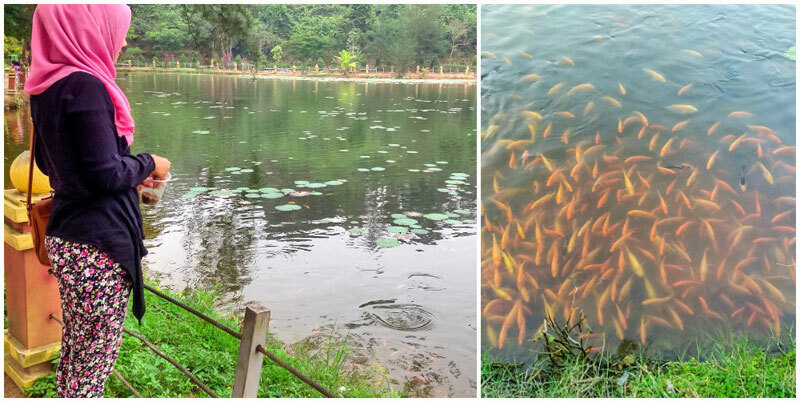 But that’s not all – in the lake, you’ll also find a huge population of bright orange koi fish, which the Chinese deem auspicious, bringing a dynamic life to the pond. You can purchase a bag of fish food from vendors and watch your kids’ faces light up as they feed the fish. 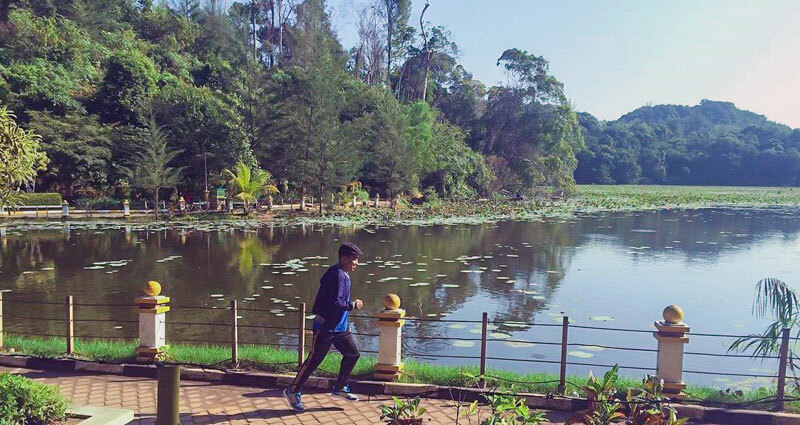 With a cycling trail and jogging path, this park is also the perfect place for some exercise while basking in the beauty of the nature. 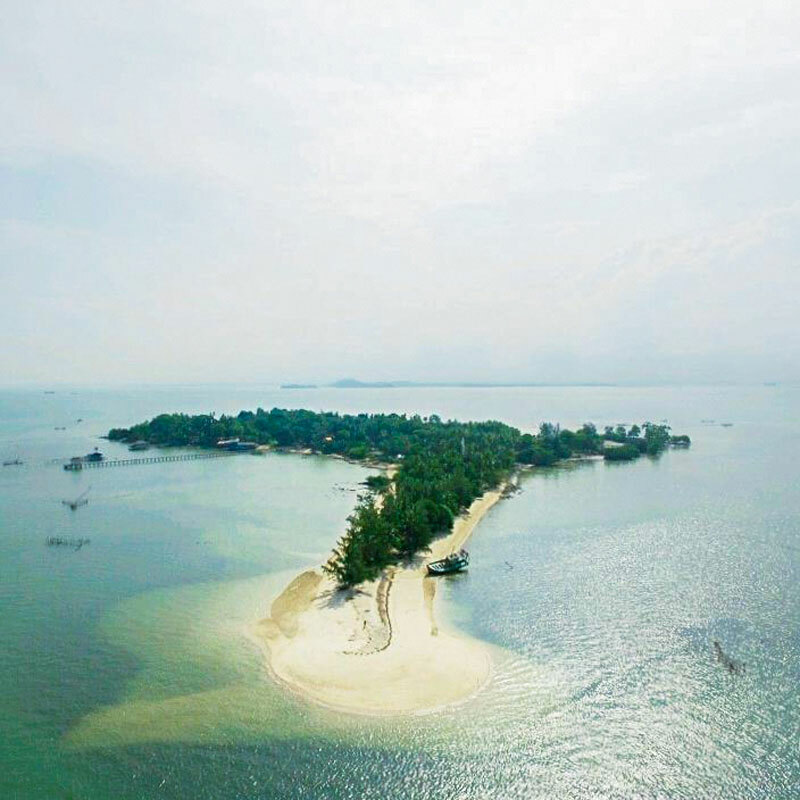 Abang Island is one of the islands off the main island of Batam which are uninhabited and untouched. Here, you’ll find a rare species of coral known as the Blue Coral, which only lives in clear waters with excellent water quality. 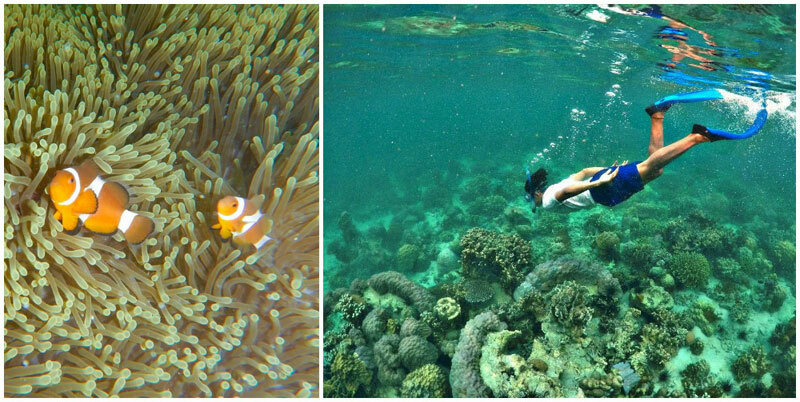 From harmless clownfish to fierce sea urchins, and a diverse range of species including red snapper, red sand fish, blow fish and pinang, discover their unique colour, shape and size and observe their interactions in their natural habitats. 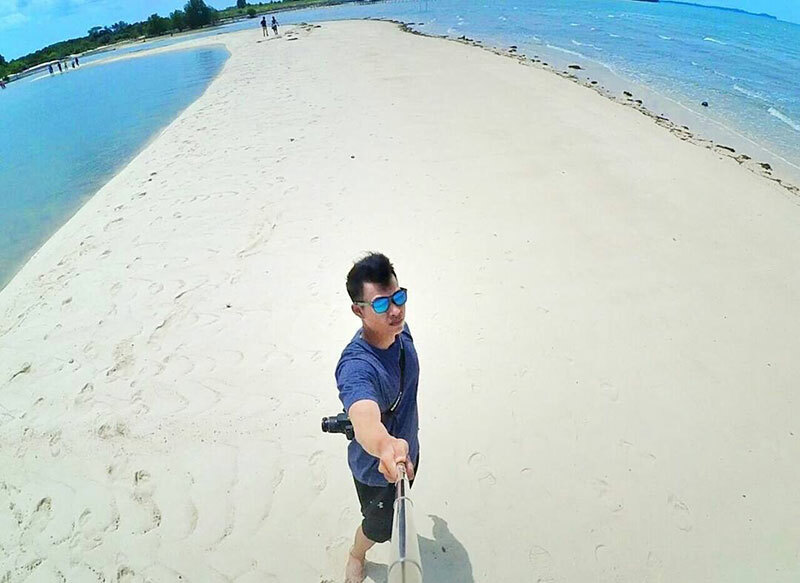 After your dive at Pulau Abang, head down to Pulau Rano, where there is no lack of underwater life, including salmon and yellowtail fish. 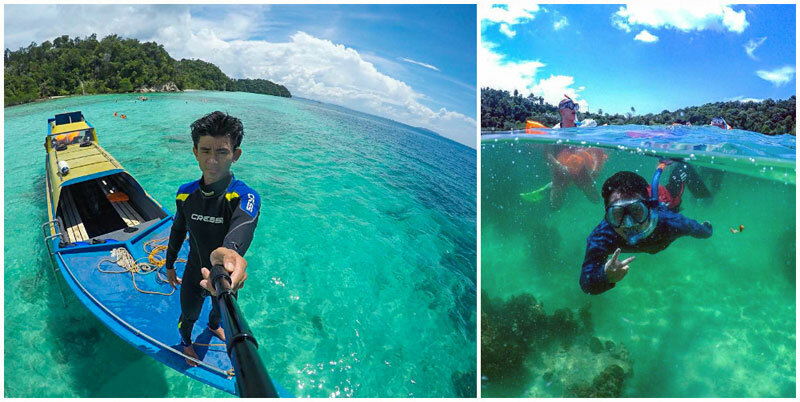 If you have yet to try snorkeling or diving, don’t worry, our experienced instructors will guide you along the way. 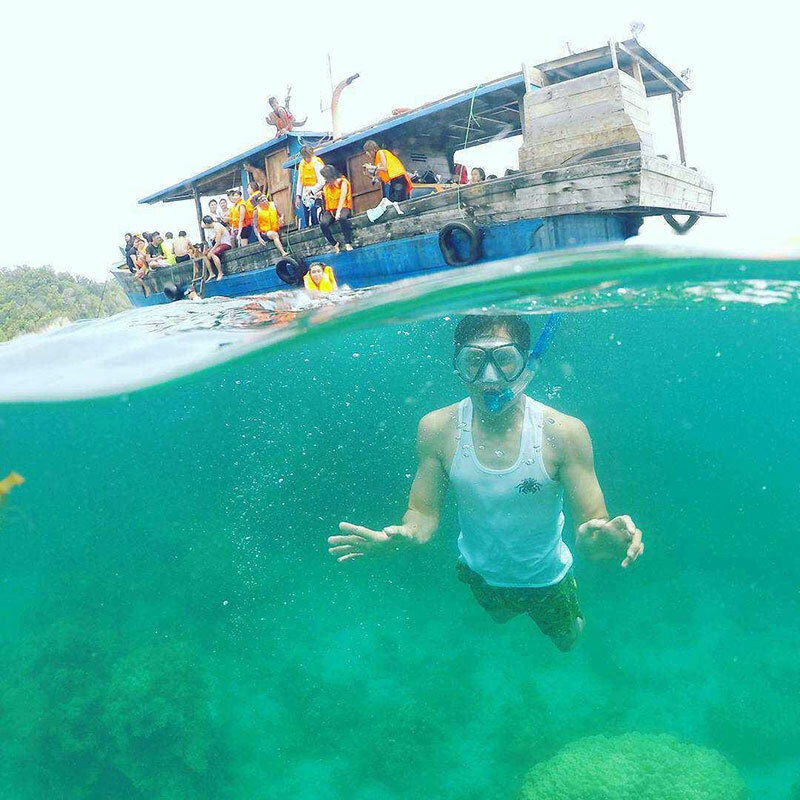 For snorkeling, one-day-package for an adult is IDR 700,000 (SGD 70) / pax, child under 8 years old is IDR 500,000 (SGD 50) / pax. 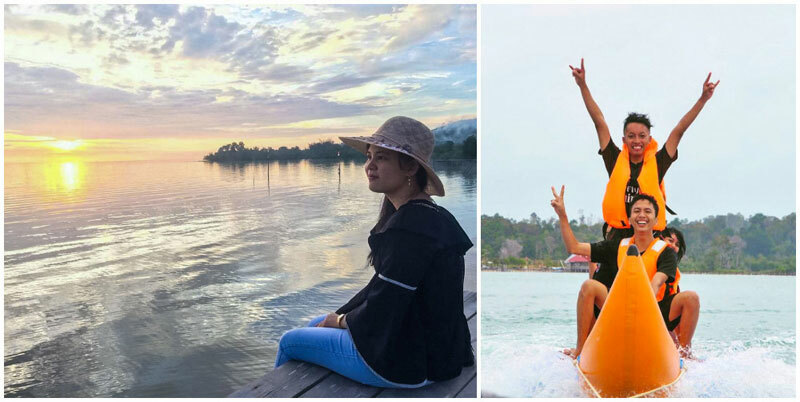 For 2D1N, the estimated adult package is IDR 1,200,000 (SGD 120) / pax, while that of a child under 8 years old costs IDR 500,000 (SGD50) / pax (Do check out the different vendors available for different packages and pricings). 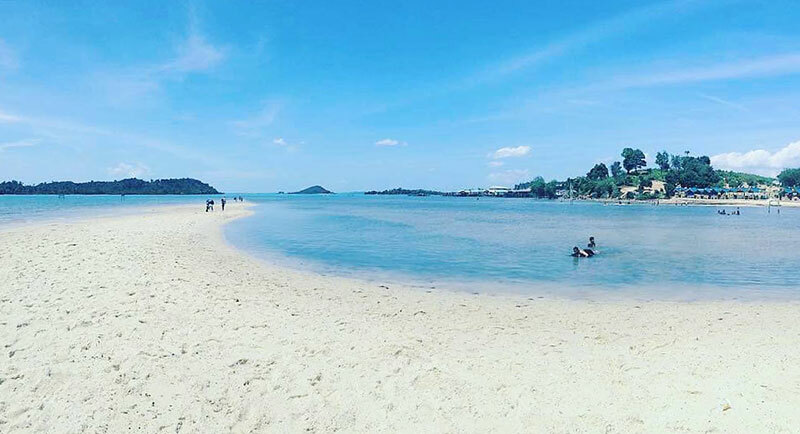 Setokok Beach is a beach like no other. Look carefully and you will notice a natural wavy pattern on the sand. The beach curls into an elevated elongated pattern, forming a tombolo. 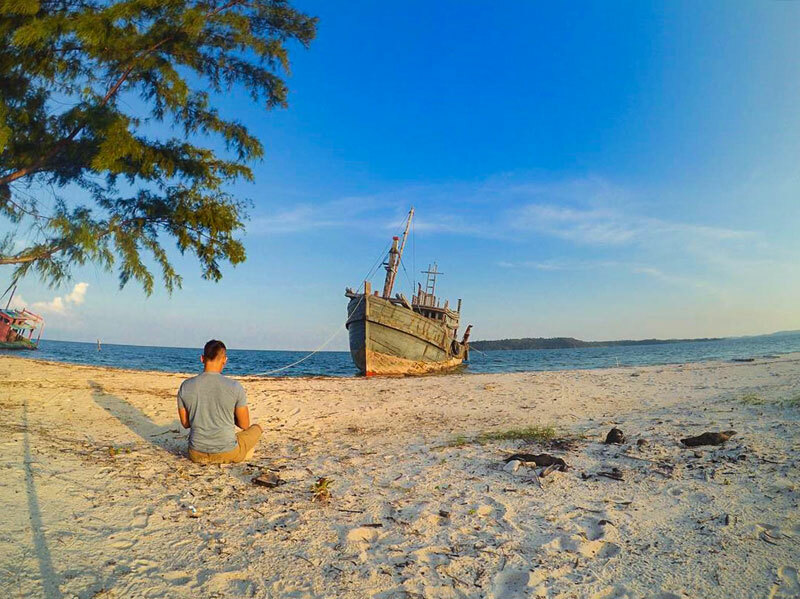 This gives rise to the illusion of you being on a tiny island surrounded by water – a rare photo opportunity! 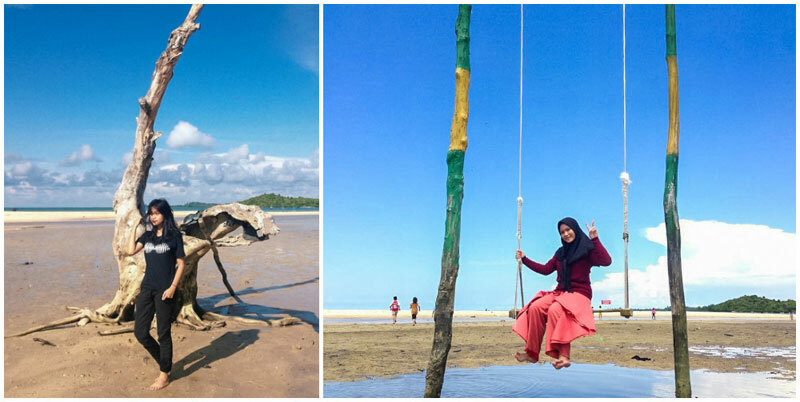 If you want to have a romantic shot with your beloved, you could pose on a swing on the beach, where both of you could sit side by side, arms around each other and feet dipped in the water. You can always walk down the long boardwalk if you feel like venturing deeper into the sea. And for family gatherings, there are wooden shelters available for you to lay out your afternoon picnic! Are you into cultural architecture? Or just looking to find a peaceful sanctuary away from the hustle and bustle of the city? 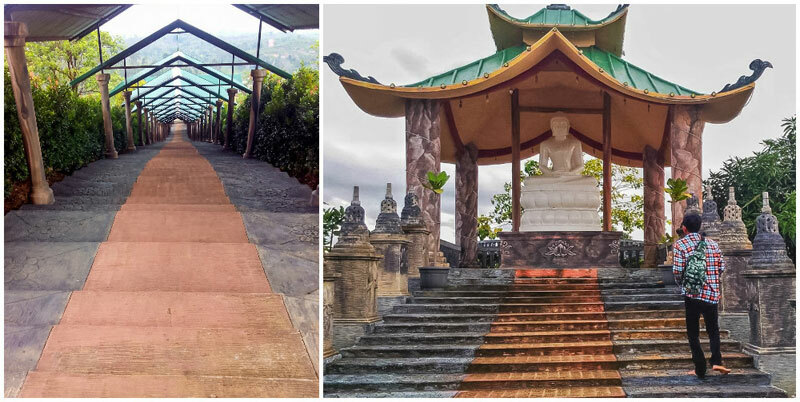 As you head up the Pa Auk Tawya Vipassana Dhura Hermitage, a monastery in Batam, you will first ascend 208 stairs, where each step has an intricately carved flower design. 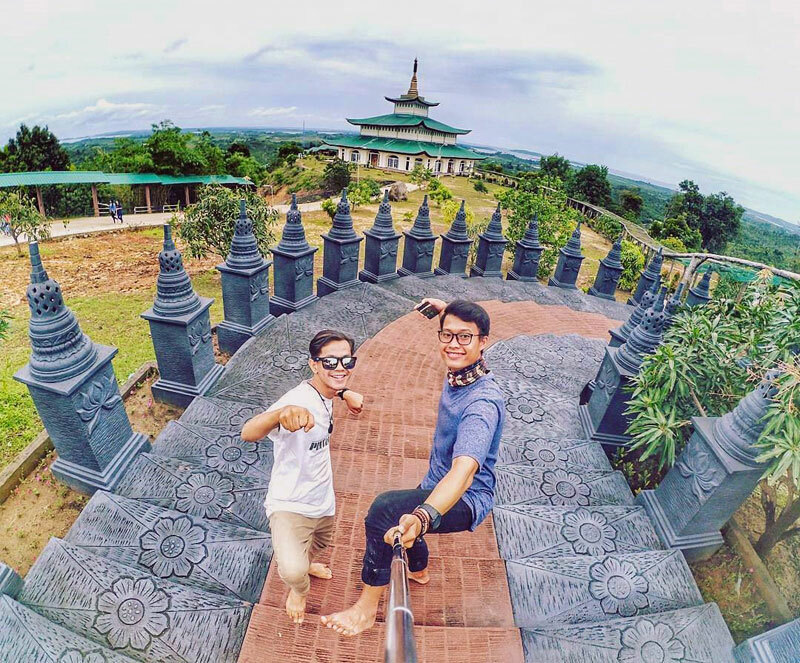 As you head further up, the bell-shaped stupas provide a wonderful backdrop for photos, and you will see a Buddha statue. 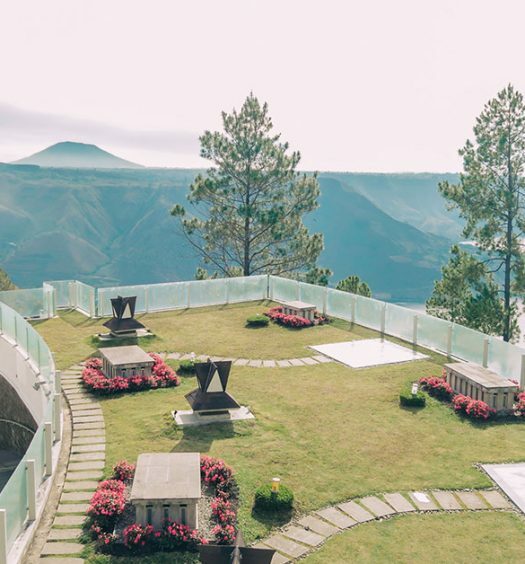 When you finally reach the top, you will be awed by a breathtaking view of lush greenery and mountains from afar. And of course, you can also observe traditions of the Buddhist temple, or even join in their meditation. 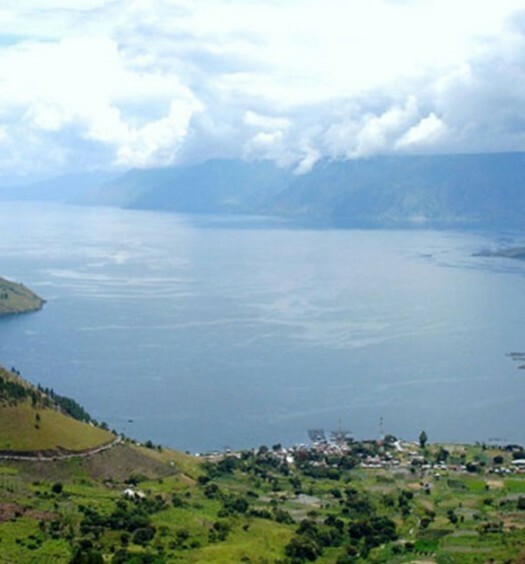 Are you interested to know more about the cultural arts and music in Indonesia? 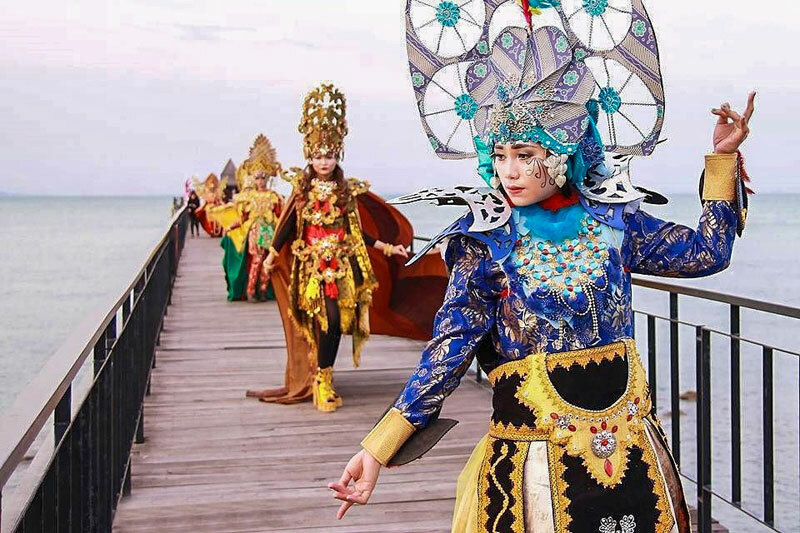 Be dazzled by models dressed in shimmering cultural costumes, decorated with majestic wings, colourful feathers and exotic jewelry as they catwalk along a boardwalk out in the sea, while folk music plays in the background. You can also catch performances by a live band, a Malay dance group, a marching band, and an Indonesian street musician show. 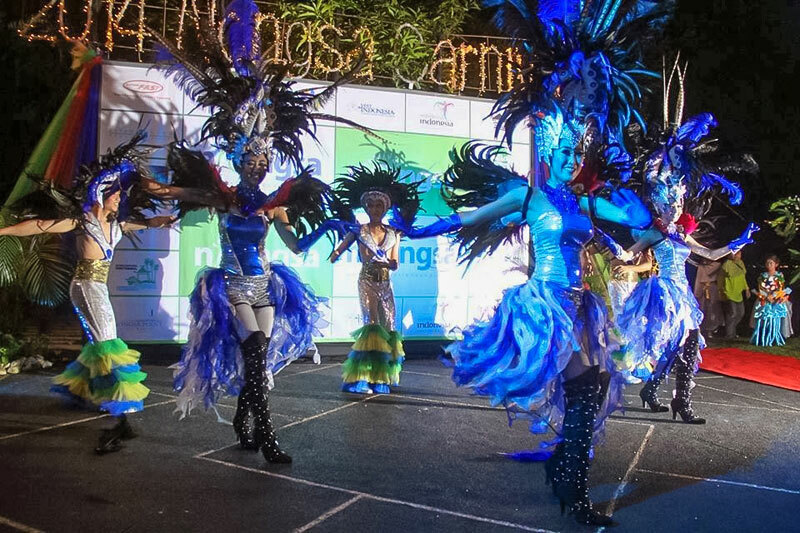 There are also fun carnival booths for both adults and kids, including aquarobic acts, water rings, penalty shooting, golf, tattoo workshop, artwork and craft exhibitions. 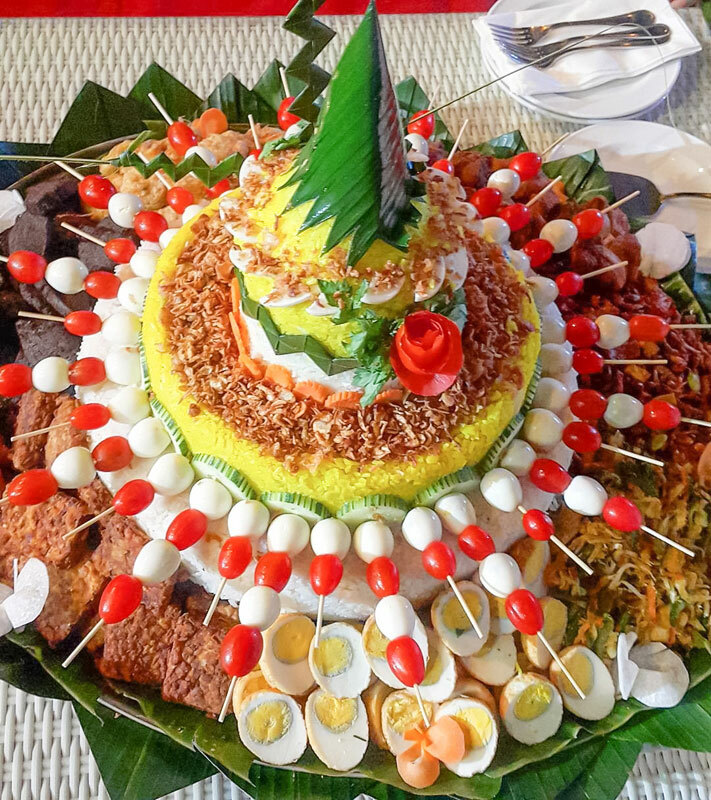 Tantalise your taste buds at the gala dinner which serves up a buffet with 30 delectable Indonesian dishes. And the exciting day ends with a spectacular display of fireworks above the sea. What better way to enjoy a cultural festival during your vacation? Bookings: This event is organised by Turi Beach Resort. For bookings and event information, do contact them directly. The event was held in August during 2014 and September during 2015 and 2016). Psst! Are there any more lesser-known attractions we missed? Please share with us!